Pizzorno Family Estates is located in Uruguay, 20 km north of the city of Montevideo, in the region known as Canelón Chico (“little cinnamon”). The Estate is currently ran by the fourth generation of the Pizzorno bloodline. Their family legacy of love and respect for nature continues to grow under the direction of Winemaker and CEO, Carlos Pizzorno. His current creations represent Canelón’s rich and fertile land as well as their passion for delicious wines. In a recent post I covered the history of Uruguay and it’s wines. As well as my new love for the country’s national Tannat grape. Sal Y Pimienta’s, Gianfranco Percovich, is to thank for this long overdue introduction to hand-picked, small production wines from Uruguay. Read more about the History of Uruguayan wines and Sal Y Pimienta Kitchen here. As a self-proclaimed wine, food and life critic/coach, I find no greater pleasure any and all new findings with my blogger community. The wine climate in Houston is changing and I am so excited. Were moving away from CalfoMy current infatuation is with Tannat wines from Uruguay. 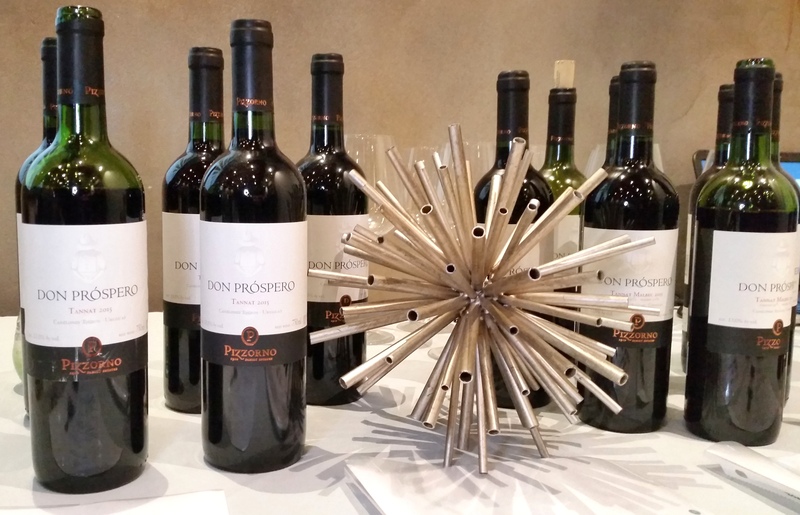 During a recent portfolio tasting hosted by Angelo Ferrari, Wine Educator at Beviamo International, a group of highbrowed oenophiles sipped, savored ( & spit) our way through the Pizzorno Family Estates portfolio. Because these wines aren’t widely sold in the states, they currently are only accessible at certain restaurants. Sal Y Pimienta Kitchen is where I highly suggest you start! Pizzorno Family Estates is surrounded by 21 hectares of vines growing on gentle slopes of clayish calcareous shallow soils. The wines are made handmade from homegrown grapes. Combining modern techniques with the art of elaboration. The manual collection of grape clusters, use of stainless steel grinders, crystallization vessels and oak barrels help differentiate Pizzorno wines from others in the region. The barrels of French and American oak give them a unique aroma and body. These methods create wines that exude fruit aromas, balance and character. Fransico Pizzorno, son and current foreign trade, tourism and communication director shared a few family favorites. Loving wine and being passionate about wine & the wine making process are two very different constructs of thought. But, I am here for all of it! The Pizzorno portfolio is stacked with six collections, each of which carry roughly four to eight varietals. A few of my notable favorites were The Primo (2011), La Fiest Sur – Tannat (2015), The Pizzorno Reserva Select Blend and Tannat (2013). Though, I love Tannat, I enjoy a solid blend as well. Primo happens to be a powerful blend of “berry for berry” selected Tannat, Cabernet Sauvignon, Merlot and Petit Verdot grapes. Each variety is aged for 12 months in new French oak barrels from the Alliers forests. Depending on the outcome, these grapes are again subjected to an additional 8 month barreling process in an effort to enhance the complexity of the blend. Tasting notes: Deep purple in color, striking aroma of ripened black fruit, tobacco and spices. Comprised of 100% manually collected, destemmed and crushed Tannat grapes. This processes yields a younger, softer and more drinkable wine. Due to my love of Indian food, I suggest a spicy accompaniment to match up to this wine. 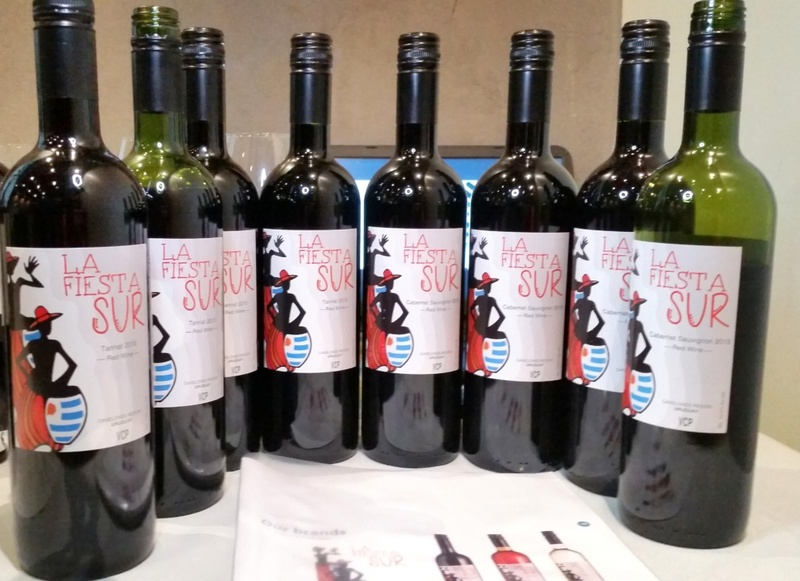 Tasting notes: La Fiesta Sur is vibrant with silky smooth tannins and tangy notes of deep red fruits and blackberry. Grapes used for the blend are sourced from the most select parcels of Tannat 60%, Cabernet Sauvignon 30% and Malbec 10%. Here, you’ll find a softer, blended wine, that easy to sip and enjoy. To ensure these wines age gracefully they are returned to oak barrel for and additional six months. Wines remain on their backs for 1 year post bottling. Tasting notes: Pizzorno Reserva Select Blend 2013 is round with balanced body and sweetness. It’s long lasting finish pairs best with lamb or other “gamey” meats. Bold and Intense are the two words I’d use to describe the Pizzorno Reserva Tannat 2013. Grapes harvested for this particular Tannat wine are sourced from a specific parcel on the vineyard. This ensures maximum quality expression of Tannat. It’s aged for 12 months in American oak barrels and laid down for 12 months after bottling. Tasting notes: deliciously spiced dark fruit and traces of tobacco are prevalent in this wine. Grab your favorite funky cheese to pair! Of course being diligent has it drawbacks. I thought of two more that I’d like to share with you. The Pinot is a “big wine.” I was quite surprised by the huge flavors this wine produces. Possibly attributed to the French Oak barrels used during the fermentation process. You’ll find more black currant fruit lingering on the palate. I enjoyed this wine with kettle cooked potato chips — because I’m fancy! A similar harvesting process occurs but with 100% Cabernet Sauvignon grapes. This wine was truly rich on the nose but easy on the palate. A bit acidic, but bright. Though the La Fiest Sur – Tannat has a suggested pairing of a spicy dish or sauce, I think the Cab would pair just as well with the same. You’ll find that this wine lingers in the mouth, almost coating the tongue. ‘Because this list contains only a selection of the many wines in the Pizzorno Family Estates portfolio, click here to learn a lot more.